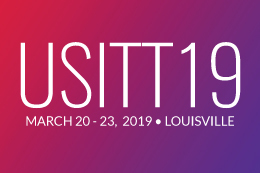 USITT19 is on track to be our largest and most innovative Conference yet! This spectacular show will host more than 200 educational sessions, hands-on trainings, and demos. Our Expo floor, sponsored by Carnival Entertainment, will house more than 300 exhibitors at our most expansive Expo to date. Visit fan-favorite booths, plus scope out our new exhibitors and see what they have to offer. The Expo floor will house SIX stages at USITT19 presenting costume and makeup demos, tutorials, fashion shows, and more! Get a sneak peek at who’s exhibiting, here. 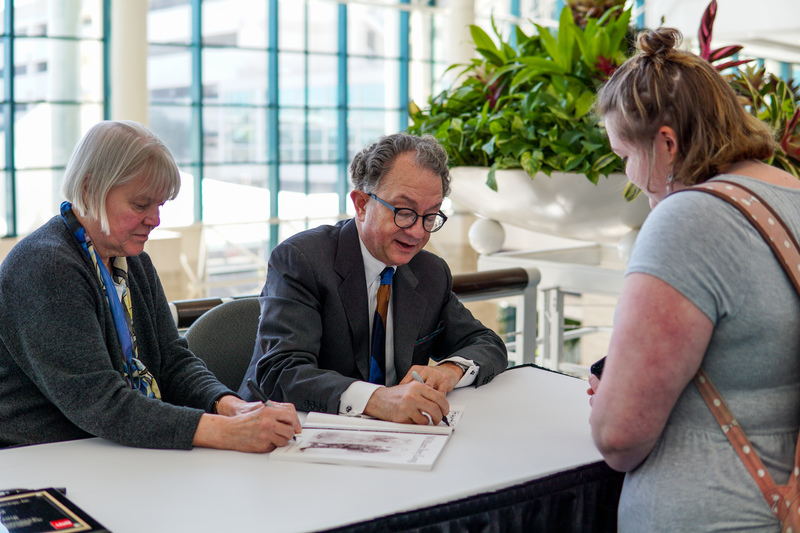 Book signings, fascinating speakers, award presentations, high-stakes Tech Olympics, and exhibits featuring costume, scenic, and international designs will spread far beyond the Expo floor filling every square foot of the Kentucky International Convention Center. 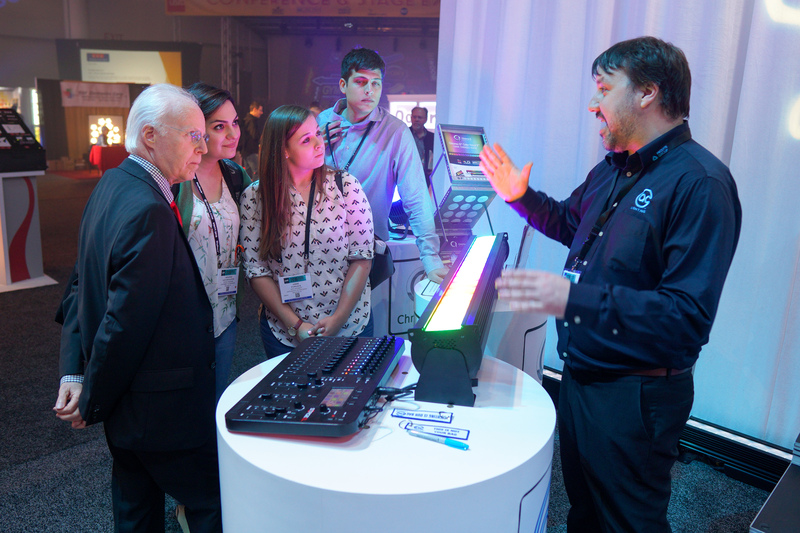 Sessions including Conversations with Directors about Media Design, Emerging Issues in Entertainment Engineering, and Lighting Special Events: Fashion, Trade Shows, Corporate, and Car Shows will take place throughout Conference week bringing education to the forefront. These sessions provide you opportunities to refresh your knowledge, ask questions, and learn about new and exciting topics outside of your field. 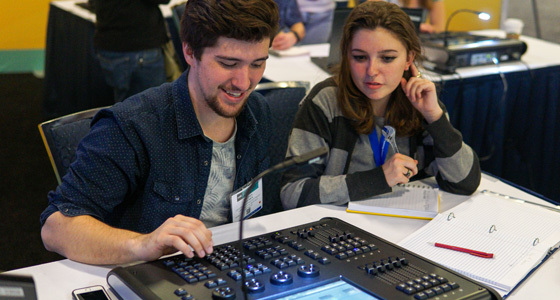 Immerse yourself in the wonder that is the 59th Annual Conference & Stage Expo. We’ll see you in Lousiville! Register here for the lowest rates. Pricing WILL increase after Dec. 6. Don’t miss your opportunity! USITT19 registration is sponsored by InterAmerica Stage Inc.
Why not extend your stay for the New World Rigging Symposium? 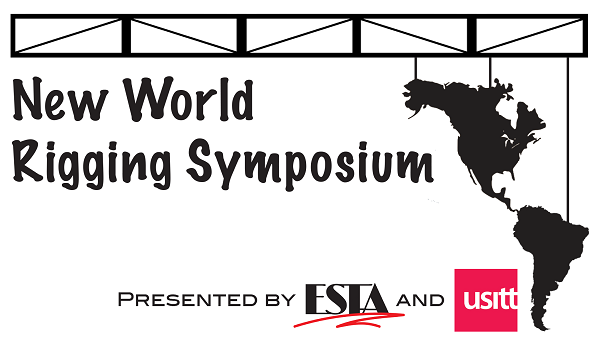 The second annual New World Rigging Symposium, an exciting event presented by USITT and ESTA, will take place March 19-20, in Louisville. 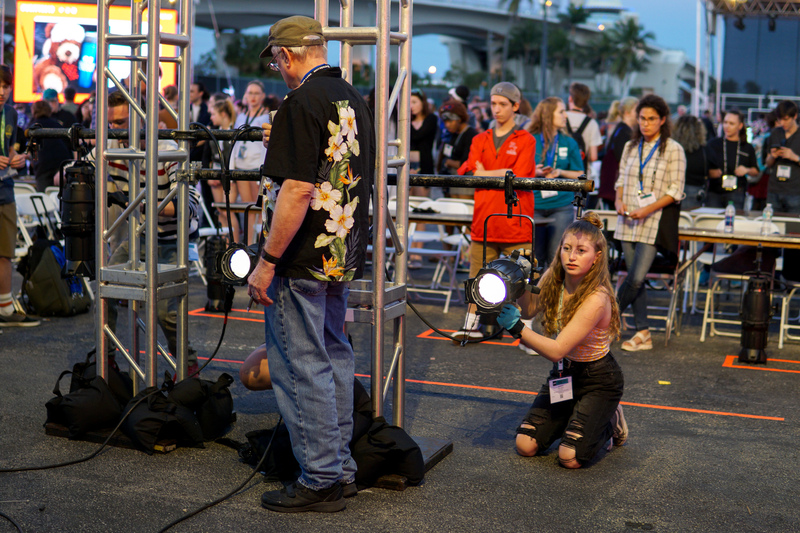 The event will provide opportunities for riggers and those interested in the live entertainment rigging industry to network, discuss current issues and new technologies, and help shape the future of the industry. Jim Digby, founder and chairman of the Event Safety Alliance and an industry veteran will be delivering the keynote address. Jim is a tour and production manager by trade involved with some of the industry’s largest artists over the past three decades and is a vocal advocate for the advancement and application of safety controls, diversity and education within the live event sector. Symposium attendees will receive a free Stage Expo pass as a part of their registration. Discounts on full Conference registration is also available. For complete schedule and registration information, visit our dedicated symposium registration page. Register today as space is limited!